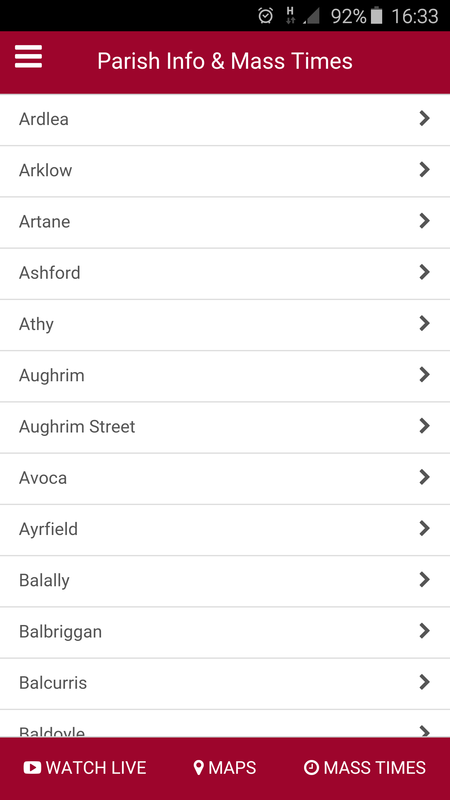 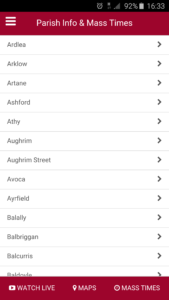 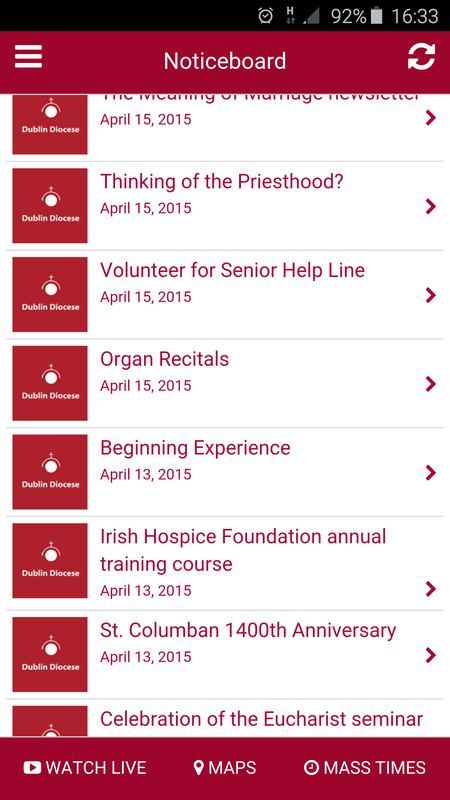 Our new Dublin Diocese app is now available on the Google Play Store. 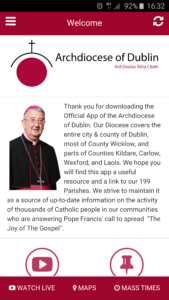 Get the latest Mass Times, News, Events, Archbishop Homilies and more direct to your phone 24/7. Our new app also supports live streaming of mass from St Mary’s Pro Cathedral. 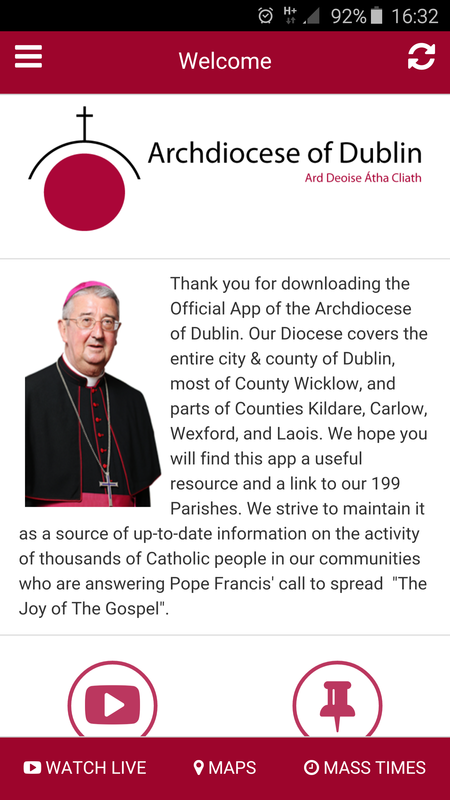 Our new Dublin Diocese app is now available on the Apple App Store. 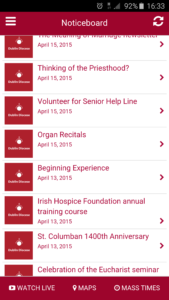 Get the latest Mass Times, News, Events, Archbishop Homilies and more direct to your phone 24/7. 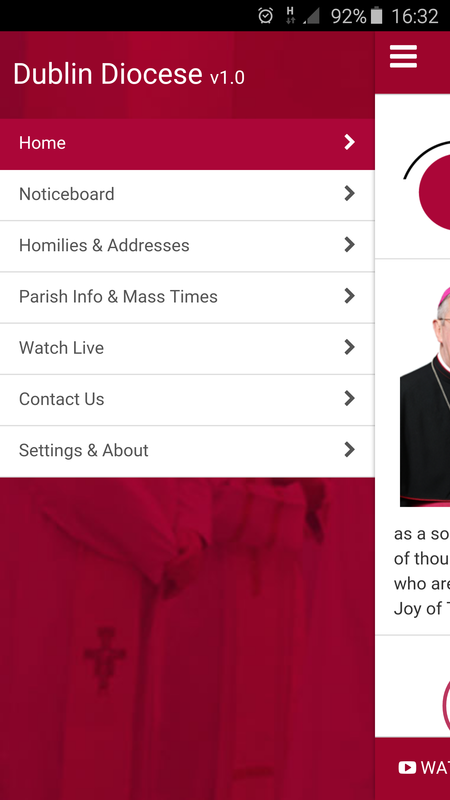 Our new app also supports live streaming of mass from St Mary’s Pro Cathedral.